David Welsh is a classic example of how it’s never too late to follow your passions. After spending a few years in the workforce in customer support and software training, David realized that he wanted to do something different in his professional life. Then, in 2014, David attended FableVision’s Creative Juices Art Show. He walked through the double doors, past the Wall of Inspiration, into the studio—and immediately felt a connection. 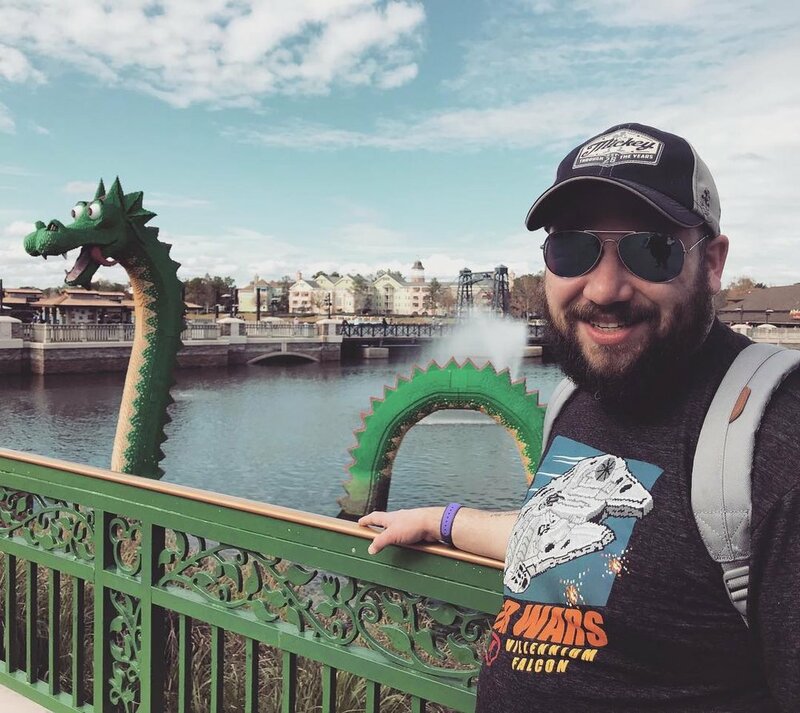 From there, he went back to school, earned a communications degree, interned at FableVision in the marketing department, and returned a year later as one of FableVision’s production assistants. In his current position, David is a vital part of the production team, assessing games for bugs, recording voice overs for animations and games, and bringing the creative and technical teams together. Let’s jump in and hear about David’s long history of storytelling, what goes into writing a stellar game, and where to buy the best flannels! What inspired you to start working in educational media production? Is there any particular moment where you knew that’s what you wanted to do? I consumed an extraordinary amount of media when I was a kid. I loved Beverly Cleary books, Nintendo games, and Hanna-Barbera reruns. But I also loved going to school and admired my teachers. When I graduated high school, I wasn’t sure whether I wanted to be a children's author or an elementary school teacher. How does your experience as a former marketing intern at FableVision inform your work as a production assistant now? It was an open secret that I was more interested in production than marketing, and the studio provided wonderful opportunities to learn about production. As a marketing intern, I got to meet with the producers when I wrote case studies, and these meetings taught me about their process and projects. I also valued the coffees and chats I had with members of the producer team. Through the marketing internship, I also produced FableFolk, a video diary series about the studio. Sarah Ditkoff and Mitul Daiyan’s mentorship taught me a lot about project management and delivering a polished product, and being able to study under their guidance was the most valuable experience of my internship. What is your favorite project that you have worked on during your time at FableVision? Parade of the Wooden Soldiers was one of my first projects, and it was such an exciting one! FableVision partnered with the Boston Pops to create an animation for their live performances this holiday season. It was a wonderful introduction to the FableVision animation process, and I got to work with amazing FableVisionaries across the studio like Sarah Ditkoff, Gary Goldberger, Tone Thyne, Keith Zoo, and Didi Hatcher. The producer for Parade of the Wooden Soldiers was Michael Fogarasi, and it was an excellent opportunity to learn from him as I got on board with the studio. Writing games seems to be one of your specialties! Thinking back to when you were working on Katanas & Trenchcoats and Aethera Player Companion – Intrigue Manual, can you tell us about what goes into writing a successful game? These books were amazing to work on because roleplaying games are collaborative experiences. As a contributing writer, I got to play in the game designer’s sandbox. My job was to work with the team to write lore that fit the setting and would inspire players to create their own stories through play. Understanding these parameters, I had to remember that less is more. The more details I wrote, not only was I taking up precious page space, but I risked limiting the player’s imagination. To write a successful game, you need to put the player first and be willing to share your toys. With your amazing story-telling skills, it’s no wonder you’re a Dungeons and Dragons enthusiast! What’s your favorite part of running a game of D&D? My absolute favorite part of Dungeons and Dragons is when I have to tear up my notes because the players pushed the story in a direction I didn’t anticipate. I love the communal storytelling of Dungeons and Dragons. Roleplaying games are a fantastic creative exercise, and each game feels like making a movie with your friends. I was thrilled to run a game for the studio at Extra Life 2018 and see a different side of my co-workers as they worked together to overcome traps and monsters. 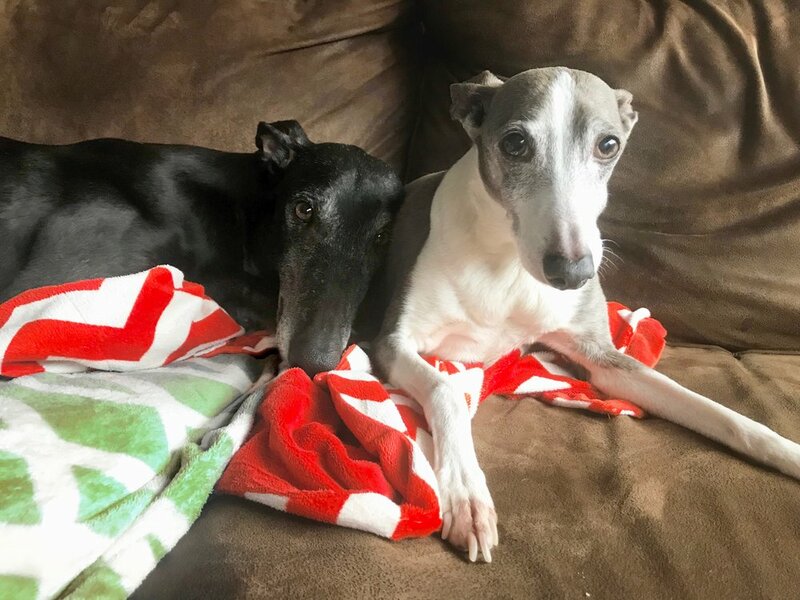 So you have two adorable dogs. What’s your favorite thing to do together? Scooby is our 13-year-old Italian greyhound. I’ve always treated him like a roommate, so my favorite thing to do with him is watch movies on the couch and share snacks. My wife and I adopted Prince just a few months ago. He is a four-year-old retired racing greyhound. We enrolled him in obedience school, and I really enjoy the bonding we’ve had through our training. I’m proud to say that our dog is top of his class! You’ve been an Extra Life participant even before working with FableVision. Can you tell us about your experience with the fundraiser and what you’ve taken away from it? I participated in Extra Life 2010 with a local board game store I worked and blogged for. It was one of the first years of Extra Life, but the idea clicked with us immediately. We could play games all day for a good cause. I think the concept is beautifully simple, and in my experience, people playing for Extra Life always prioritize the fundraising over the gaming. Tell us about A Blumhouse Divided. What has podcasting taught you about storytelling? A Blumhouse Divided is a podcast where my wife Ashlee and I discuss movies from the film studio Blumhouse Productions (Paranormal Activity, Get Out). We started the podcast because, after we began recognizing the company’s logo on some of our favorite horror movies, my wife said she wanted to watch every movie they had made. I was looking for a project where I could practice my production skills, and this seemed like as good a premise as any. Our film discussion and analysis is casual, but I’ve learned a lot about storytelling by watching these films in context of their franchises or other films from the studio. Making the show has also taught me about finding compelling topics to discuss and creating interesting segments. Jason Blum, the head of Blumhouse, has a philosophy of capping a film’s budget at $5 million. Watching the movies with an understanding of the restraints they were under helps me appreciate how a great project can get made when you know how to allocate limited resources, so A Blumhouse Divided has also given me insight into the production process. You’ve also dabbled in poetry, what sparks your creativity and inspires you to write? Dabble is the right word to use because I wouldn’t call myself a poet. I’ve worked with so many different ways to tell stories—short stories, blogs, podcasts, comics, film, games. I think what sparks my creativity is that I get excited by everything and I have to put that creative energy wherever I can. That’s why I love working at FableVision. On any day, I could be recording audio, editing video, or brainstorming game ideas. Eight years is a long time—especially in the world of educational technology. 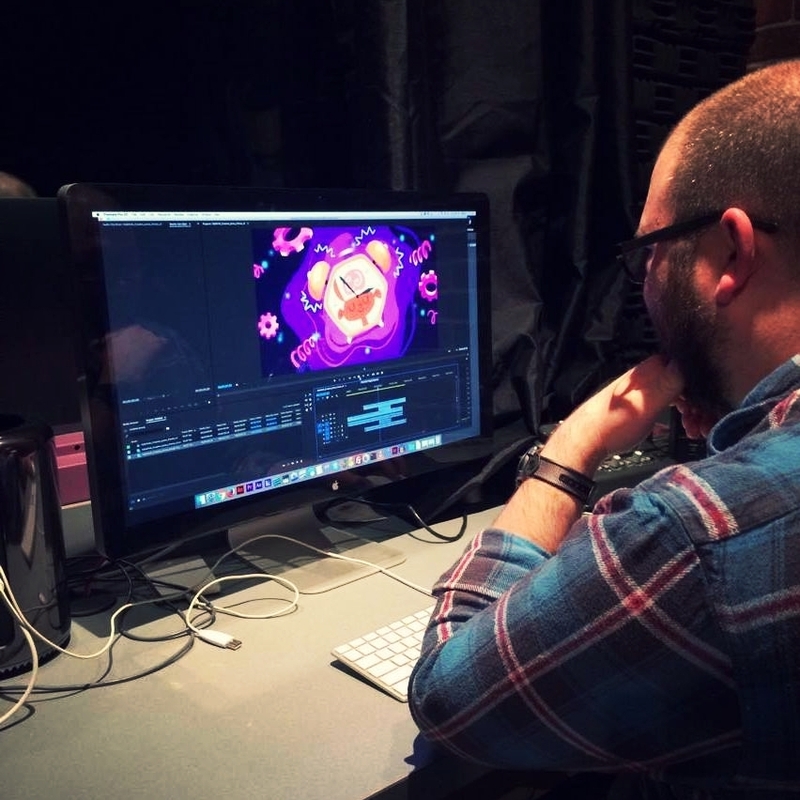 When Associate Director of Technology Jordan Bach joined the studio eight years ago, FableVision was using Adobe Flash as our primary development tool for interactive media, and we were delivering that media online in web browsers. These days we use a variety of different tools, from Unity and HTML5 to Augmented Reality, to make interactive experiences. 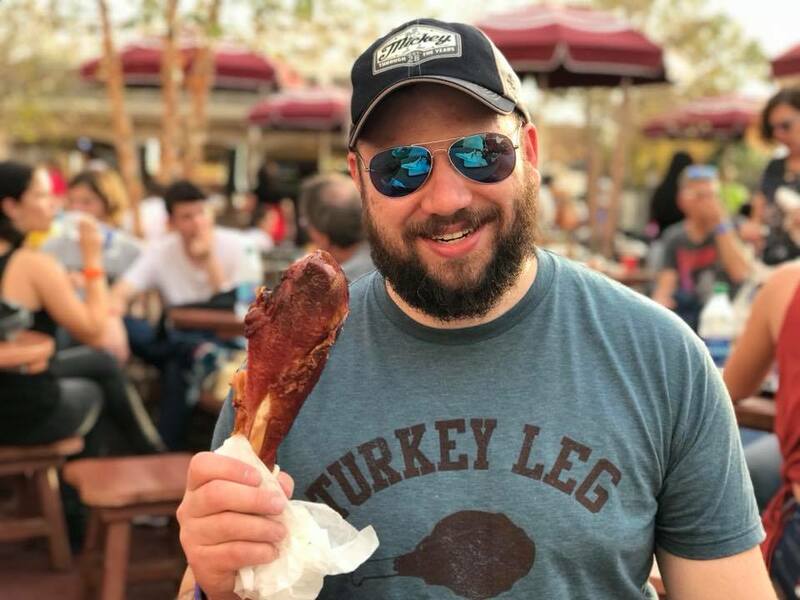 Jordan is one of the driving forces behind keeping us on top of tech trends, helping choose tools that best serve the educational goals of each and every project in our portfolio. The technical solutions available to us have evolved and Jordan has evolved too. 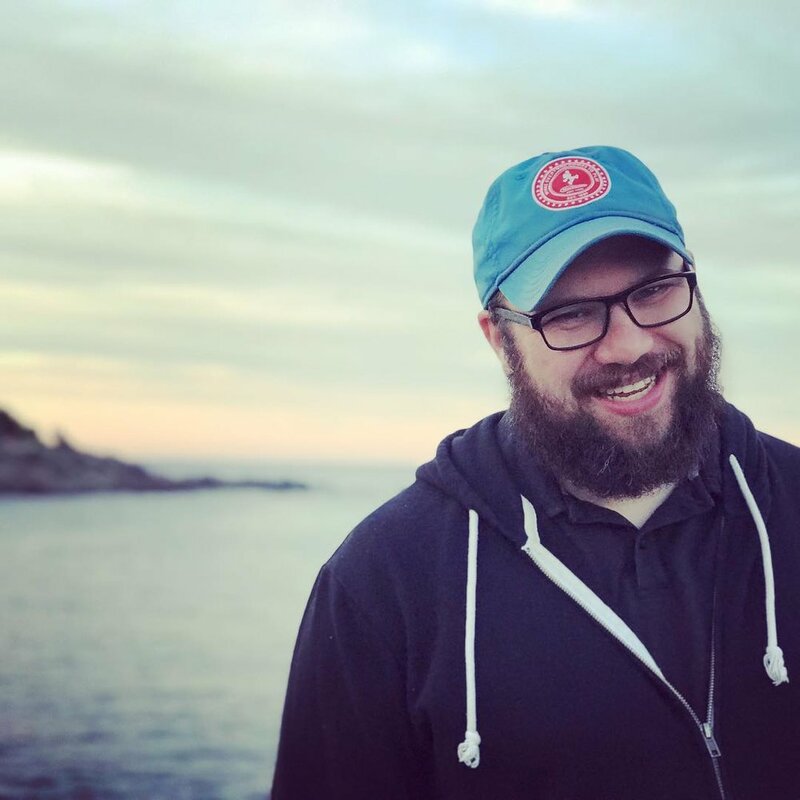 By working closely with our creative team and clients, Jordan utilizes his own, and everyone else's talents, to create the best projects possible. Learn more about how he approaches his work in making games, apps, and interactives for the web, tablets, phones, and beyond! Edtech has made great strides in the past few years as new technologies continue to emerge. What are some trends that you think will have a big impact in the years to come? It’s exciting to think about how augmented reality (AR) apps can be used effectively in teaching and learning. With our partners at Reading Is Fundamental and EDC, we’re exploring how AR can help struggling readers engage with books in a new way, and ultimately help them improve their reading skills as part of our Phase I SBIR project. I’m excited to participate in such a meaningful exploration of a new technology. 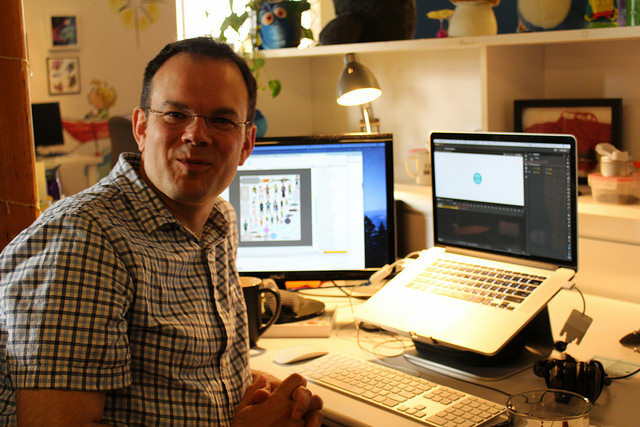 From UX|UI designers, to artists, to animators, our developers have to work with an entire team of people and ensure that everything we create works in tandem with each other. How do you help maintain this well-oiled machine? A big piece of my job is communication, and helping everyone on the team to communicate clearly about technology. At the beginning of a new project, I make sure we’re all on the same page about what we’re building and the tech we’re using. During a project I help with the pipeline from artist and animator to developer, sometimes even making tools to help manipulate and set up files. And when a project is complete, I help take what we’ve learned and apply it to our process for the next one. Because the technology we use is always changing, the entire team is always learning and improving our process. Tell us about a challenge you encountered with a project and the creative problem solving it took to get the job done? After we finished the relaunch of the classic Zoombinis game with TERC a few years ago, we switched gears and helped EdGE at TERC create a special research version of the game. This version, used in participating classrooms, tracks a ton of data about how kids solve the puzzles. So that researchers could better understand the data, we created another version of the game that, when given the test data, simulates the original gameplay at different speeds. One of the more tricky tasks I’ve done at FableVision, it couldn’t have been accomplished without working closely with the researchers at EdGE and their other development partners. It’s a great example of how working together allows you to create something better and more complex than you could have done on your own. What does it take to be a developer at FableVision? In addition to being skilled at the craft of coding games and interactives, developers at FableVision need to understand what’s going on outside of the developer box. They need to understand user experience, implementation of learning theories, and what makes a compelling story. They care about learning, and demonstrate it every day by learning themselves. How does your formal training in music influence your work as a developer? In so many ways! Here’s one: While performing, a musician puts a lot of energy into giving the audience a certain experience. While preparing for the performance, you practice all of the details needed to create that experience. As a developer, my number one priority is not to program in certain ways or to use certain techniques, but rather to create specific learning experiences. I’m interested in identifying and focusing on all of the details that are most key to the overall experience. One more: when you’re on a stage, you have to have done all the hard work to get there. You can’t let the audience and your fellow performers down. It’s the same as a developer: you work hard to support the team and the kids using what you made. As a computer science wizard, you spend a lot of time making magic on the screen, how do you find ways to take a break from your computer? I absolutely need a break sometimes. Here’s one way: I’ve decided not to look at any screens on my commute. I take the subway and bus and it’s a lot of time every day. I’ve read so many great books over the past eight years on my FableVision commute! As we’ve seen at our annual Creative Juices art show, you work with a lot of different mediums for creativity outside of work. What special non-tech related project are you currently working on? I’m making a quilt for my nephew! It’s still a secret, but here’s a pic of one I made for my niece. Delicious tea to drink and relax with: I love Keemun. And I have Earl Gray every afternoon in the office. Best gardening secret you’re willing to share: If you choose plants native to where you live, they’ll be easier to take care of. And as a bonus, they’ll support the native fauna that has coevolved to live with your plants, so you’ll see more birds and other critters. Have shade? 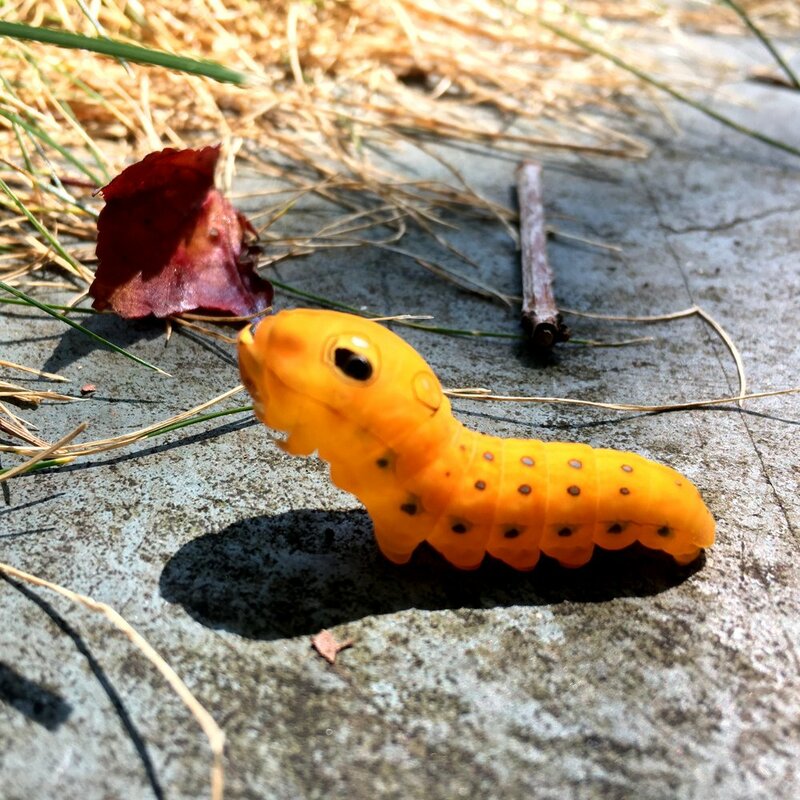 Plant a spicebush and get this caterpillar. Three works of literature we should have read yesterday: Whatever interests you the most! Books have to come to you at the right time in your life. I read a lot of contemporary books, but lately I’ve been fascinated by stories from and about the past. Middlemarch is often cited as a long, challenging book to get through. It’s actually really engaging, and insightful about relationships. I’m working my way through the Palliser chronicles by Trollope, mostly because it’s entertaining but also because it’s fascinating to read about the political struggles of another time. I also like Edith Wharton’s The House of Mirth because the characters are fantastic. Your go-to recipe for making new friends: Join groups related to your hobbies! Everyone is there because they love the same thing you love and want to make new friends. Chances are it’ll work out. Current favorite hand-made thing you’ve created: A stuffed bunny and cat for my two nieces. Making stuffed animals is how I originally got into crafting! An inviting library or bookstore you love: The Montague Book Mill is an old water mill in western Massachusetts that’s been repurposed as a used book store, a performance space, a couple of restaurants, and an art gallery. It overlooks a waterfall. Most addicting game you’ve played recently: Hollow Knight. It’s a little old fashioned, beautiful, and fun. Susan Verde’s Gie Gie is unlike any princess you’ve met before, and her story isn’t quite a Disney or Brothers Grimm-infused fairytale. In fact, The Water Princess’ tale is all too real, and no less extraordinary. Gie Gie’s strength and positivity, combined with Verde’s poetics, Peter H. Reynolds’ rich illustrations, a brand new soundtrack and voice-over dialogue, and two new visual scenes offer an exquisite, thought-provoking narrative that brings the global issue of clean water access to light. Gie Gie’s struggle is a reality for nearly one billion people globally; she reminds younger and older audiences alike that that they share the “earth and sky” with so many others, and that, though we have many miles to go before these issues are solved, there is always room to dance on the way. Moreover, The Water Princess features a resilient woman of color as its lead and role model. Like Badiel, whose efforts have transformed Western African lives and encouraged greater universal awareness, Gie Gie redefines what it means to be a princess and to truly care for the space and communities around you. Ultimately, Gie Gie’s magic lies both within the natural world and herself (sure, Cinderella could talk to birds, but I found Princess Gie Gie’s “powers” much cooler). And, though Gie Gie has no time for fancy ball gowns, she does have time for dancing (“the miles give us room to dance”), which she does alongside her mother as the two journey across Gie Gie’s African “kingdom” in search of water—the one thing that, try as she might, she cannot summon. Princess Gie Gie refuses to lose hope that “someday” things will be different, dreaming of clearer water and change. Peter Reynolds’ fun whimsical drawings truly brought Gie Gie and her environment to life. With rich earthy tones and expressive actions, FableVision created an engaging animation following the story and emulating Peter Reynolds’ illustrative style. Experience Gie Gie’s journey for yourself; get the film on Weston Woods’ site here and get your own copy of the book here. Back to School with FableVision! Back-to-school season is always an exciting, busy time of year. There are new teachers and classrooms, a brand new schedule of challenging courses, and hey – has anyone seen my pencil case? Despite its hectic nature, the start of the school year is an excellent opportunity for learning, both in and outside of the classroom. Whether it be in class, at home, or even on-the-go, there are a plethora of edtech tools to help enhance your academic skills. To help you start the year off on the right foot, join me for a quick overview of some awesome FableVision projects that would be a great addition to anyone’s back-to-school toolkit! Want to brush up on your math skills, but don’t know where to start? FableVision and Georgia Public Broadcasting have got you covered! Whether entering kindergarten, third grade, or anywhere in between, Gasha Go! is a fun and effective way to learn number sense, numeracy, and literacy. Students enter into a vibrant world inside an arcade game, and have ten different modes of gameplay that cover a variety of fundamental mathematical concepts at their fingertips. To top it off, there’s even an original animated song and catchy video to help internalize all your new knowledge. Still in summer mode? Get back in the swing of things with the classic Zoombinis!Remastered as a mobile game, Zoombinis features educational puzzles that focus on integral computational thinking school skills such as algebraic thinking, data analysis, and theory formulation for middle schoolers. By enhancing your critical thinking and problem solving skills, Zoombinis will refresh your brain from summer and help you get back into gear for the school year! Fall is here so it’s time to enroll in lessons at the Con Art School with Con ‘Em If You Can! This financial literacy game deals with important topics such as scarcity, reciprocity, social consensus, phantom riches, and source credibility. Whether in life, school, or even a video game, you should always be wary of your surroundings and situations! Con ‘Em If You Can allows players to take on the role of con artist to better understand how cons work – that way you won’t get tricked by the same schemes you get to conduct during game play. Today’s children are tomorrow’s leaders, and it’s never too early to practice making positive change. Read to Lead is a collection of three award-winning games developed by FableVision and Classroom, Inc. that invites middle schoolers to step into the shoes of various leaders of Port Douglas, a fictional city recently devastated by a hurricane. As students enter into each influential role in the community, they practice crucial life and literacy skills. Whether they’re serving as the editor-in-chief of the city’s online magazine or the director of the local community center, players will gain a sense of responsibility, workplace readiness skills, and a grasp on real-world issues. Ring in the new school year with a solid foundation for STEM education! Good Thinking! :The Science of Teaching Science is a free, animated professional development series that students and teachers alike can enjoy. Created in partnership with the Smithsonian Science Education Center, each episode of Good Thinking! asks viewers to temporarily suspend science to talk about science, demystifying and delivering content in an approachable fashion. Set your STEAM gears in motion! Global Tinker and FableVision Studios’ The Paper Girls Show is an animated series that encourages girls to explore the topics of art, science, computer programming, and engineering. Through the show, elementary school students can follow along on Caily and Reese’s wacky adventures and be inspired to learn, create and take on educational adventures of their own throughout the school year! Watch the latest episodes here. Brush up on your knowledge from the past and work on your sleuthing skills with Ripped Apart: A Civil War Mystery. Solve puzzles, find clues, and decipher documents as the Smithsonian’s newest intern. This immersive game experience allows players to explore the depths of the 19th century through photographs and belongings of characters from America’s past. FableVision, alongside the team at the Smithsonian Institution, developed this fun and engaging way for kids 10+ to get excited for learning about America’s beginnings. Looking for an intergalactic adventure? Download Quandary for free on your tablet and step into a universe filled with ethical dilemmas. You’ll be appointed captain of 12 settlers and must take each settler’s opinion into account as they carefully deliberate and formulate solutions. FableVision and the Learning Games Network’s Quandary won the Games for Change Award: Game of the Year in 2013 in addition to many other honors, and is a fantastic way to boost students’ comprehension and critical thinking skills – there’s nothing puzzling about that. Several decades later, Betsy’s still using that compass to steer big projects making a big difference. From the early days of Lure of the Labyrinth, an online game geared towards improving math and literacy among middle-school students, to our latest project putting a musical spin on the Library of Congress’ primary sources, Betsy has helped forge a lasting partnership with FableVision Studios that continues to impact learners today. In this month’s FableFriday, read on to see the strides Betsy has made to harness the power of public media, the innovative products we’re building together, and the ultimate media toolkit curated by Betsy! Your commitment to education is nothing short of extraordinary! Tell us a little bit about your roles as MPT’s Managing Director of Education Marketing and Outreach, and your current position as Vice President of MPT’s Education division. I joined MPT in 2000 on the heels of the education division winning a $10 million dollar grant from the U.S. Department of Education. At that time, technology was beginning to burgeon and our charge was to harness the new digital capabilities for learning. It was a wonderfully exciting time to be in the field, filled with opportunity to produce innovative learning media in engaging new ways to help teachers teach and students learn. We built a robust website called Thinkport that today continues to serve early childhood, K-12 teachers, students, and parents with interactive media and online professional development courses. Our goal is to support teaching and learning with effective technology integration, high-quality digital resources, and to share best practices. As a statewide public media broadcaster, my role was to bring these rich resources into the classrooms and homes of the early childhood and K-12 education communities. It is always insightful and rewarding to participate at local and national education events to share what’s new, what’s possible, and to get a pulse on what’s happening in the field. Through the years at MPT, I’ve had the privilege of working with an extraordinary team of talented professionals —educators, producers, content experts, writers. Together, we developed a large catalog of truly cutting-edge interactive media and strong supporting professional development for educators (we won a Webby, Emmy, and other industry awards). My roles morphed and grew in many gratifying ways. Whether marketing, producing, project managing, strategic planning or raising funds; what I fundamentally enjoy the most are: the energy of the collaborative creative process, fostering relationships into meaningful partnerships, working with educators, and knowing that you can make a difference. Before joining MPT, you worked for the United Broadcasting Company, a national broadcaster of major market radio and cable stations. How does your expertise in radio, television, and film inform your approach to digital education? Whether you are working in education, or entertainment, the key is to know your audience. Do your research and develop products and services that are relevant and valued. MPT has a long history of collaboration with FableVision. Together, we’ve created an array of innovative, accessible websites. What has your experience been like working with the FableVision team? In a nutshell, and to borrow a movie line, ”You had me at hello.” When I met Gary Goldberger, FableVision’s president and co-founder, it was like we were old friends from the onset. Our like-minded enthusiasm for creating high-quality educational media brought together our respective teams and complementary expertise. There is always a lot of respect and laughs in our often lengthy working sessions. Many of the projects we’ve worked on together have challenged us in a positive way, requiring fresh thinking and innovative tech development. We’ve been working with the FableVision team for over ten years, and I hope to continue our relationship far into the future. FableVision always hits a homerun. Alongside MIT Education Arcade, MPT and the FableVision team crafted Lure of the Labyrinth, an online game geared towards improving math and literacy among middle-school students. What was the thought process behind the game, and what do you think makes it such a lasting, effective learning tool? Lure of the Labyrinth was a labor of love. It was developed with a grant awarded to MPT in 2007 from the U.S. Department of Education to explore “serious games” and demonstrate how games can help kids learn. An amazing team came together including Scot Osterweil, who led the application of learning and game theory as creative director of the MIT Education Arcade. FableVision created an engaging storyline and a menagerie of mythical monsters in a crazy labyrinth environment for ultimate middle school appeal. Finally, MPT layered the classroom instruction and brought together teacher teams for testing and evaluation. So why do I think it is such a lasting effective learning tool? Because of its strong pedagogy, appealing story, and most importantly, it’s fun! The game works very well in today’s climate, emphasizing problem solving and critical thinking. Kids work hard to play the puzzles and move through the game while building pre-Algebra math skills. It’s that feeling of accomplishment that makes it so rewarding. Fun fact: Lure of the Labyrinth has an international following with players in Australia and Canada, as well as the U.S. Speaking of super cool collaborations, you recently teamed up with FableVision, Maryland Humanities, and CIRCLE at Tufts University's Tisch College of Civic Life, and won the Teaching with Primary Sources (TPS) Regional Grant from the Library of Congress! What is TPS and the new project all about? What impact do you hope to achieve? Civics: An American Musical is sure to be a fantastic project! Inspired by Lin-Manuel Miranda’s renowned musical Hamilton, our project will engage middle schoolers with primary sources from the Library of Congress as they imagine, formulate, and debut their own great American Musical. Components will include an online role-playing game blended with hands-on classroom projects and built-in professional development tools. The goal of the Library of Congress Teaching with Primary Sources program is to enhance educators’ ability to embed digitized primary sources from the Library’s immense archive into inquiry-based instruction. We will provide teachers with professional learning to understand this process and to effectively use this new tool with their students. Our goal is to create a playful environment in which to build student literacy and critical thinking skills, while making history/civics relatable to the students. With this great collaborative partnership, I’m certain that a valuable new learning resource will debut in 2020. MPT/PBS show: I do love my PBS and MPT programs. I am looking forward to the next season of Poldark and Victoria, as well as Call the Midwife, Antiques Roadshow (plus MPT’s local version, Chesapeake Collectables) and any and all documentaries. Hamilton’s America is a must see. Bingable television series: I am anxiously awaiting the next season of the The Marvelous Mrs. Maisel and Ozark. Oscar-worthy film: How does one choose? There’s a quirky film by Wes Anderson called Moonrise Kingdom that I’ve watched a dozen times. I always enjoy watching musicals with my children – The Sound of Music and the like. Riveting podcast: NPR podcasts, especially The TED Radio Hour and This American Life. Great reads: Goodnight Moon, Chicka Chicka Boom Boom, are my most frequent reads (my daughter had a baby this past year!) Looking forward to adding Peter H. Reynolds’ The Dot to my list. When I’m not reading to my granddaughter, I enjoy historical fiction.